Young royal terns and sandwich terns were yelling at the parents to get them fish. Ghost crab on the beach. Young black bellied plovers. I’m not sure if they were fighting or playing. A hawk flies by on the beach. A dolphin goes by out in the gulf. 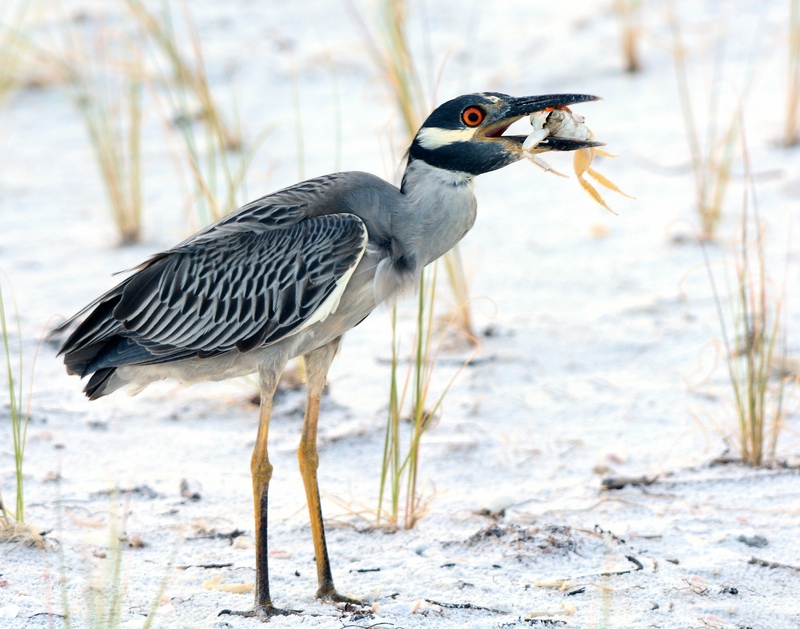 The last of my Sanibel Island vacation pictures. A baby and a common loon. Lots of flirting still going on at the least tern nesting site on the beach. 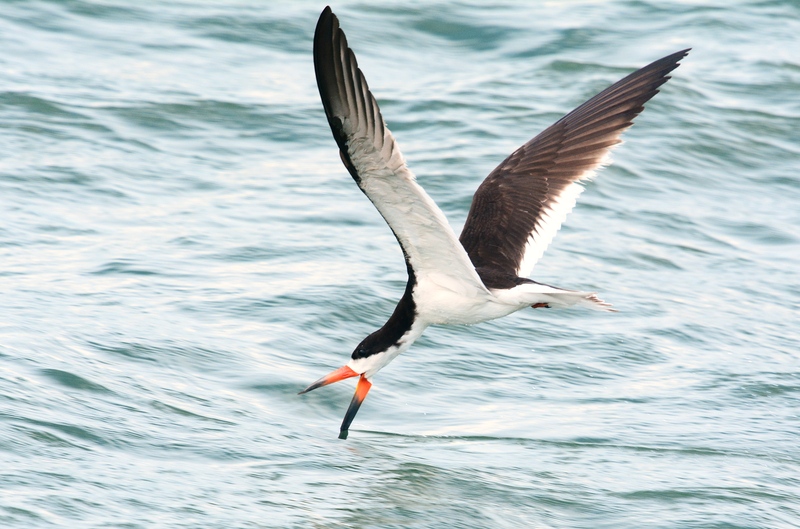 The males bring their girlfriends a fish instead of roses. There was only one baby but many adults still sitting on eggs. This is a tough area that they picked to nest in. Lots of crows and crabs trying to get to the babies and the eggs. That’s why it’s important the parents don’t get scared away. The area is roped off so people don’t go walking through there. The babies and eggs blend in so well, if someone was walking through with chairs, towels, coolers, etc, they would not see them. A ghost crab heading into the roped off area. A snowy egret was creeping along the shoreline. I saw a rare common loon swimming out in the gulf. I thought he should still be up north until fall. We usually don’t see these guys until late October. Stuff at Fort Desoto in late July. 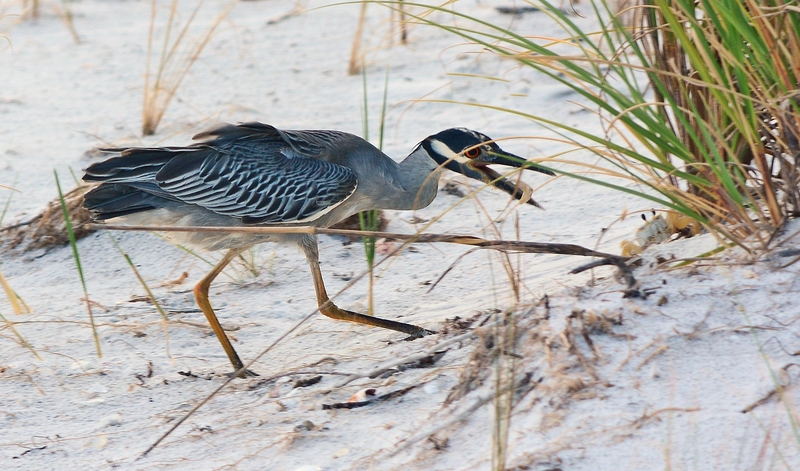 The usual things you see on the beach at Fort Desoto Park. 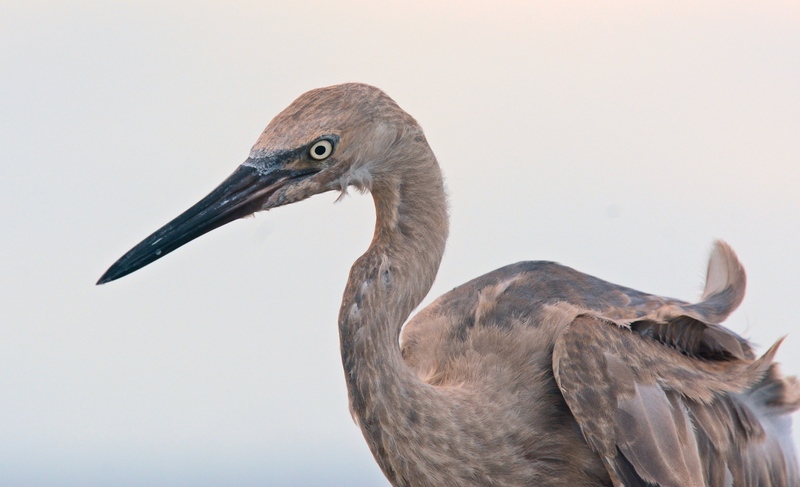 Another sighting of the juvenile reddish egret. He’s just a little bit bigger than when I saw him a few weeks ago. 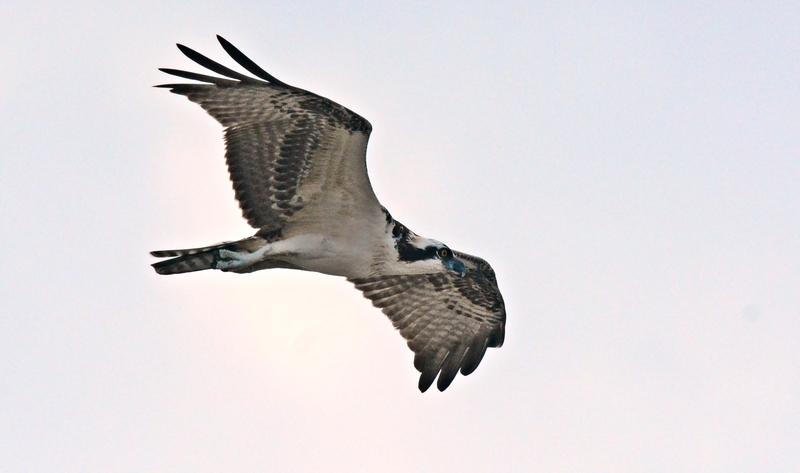 The juvenile osprey flying by the pier. 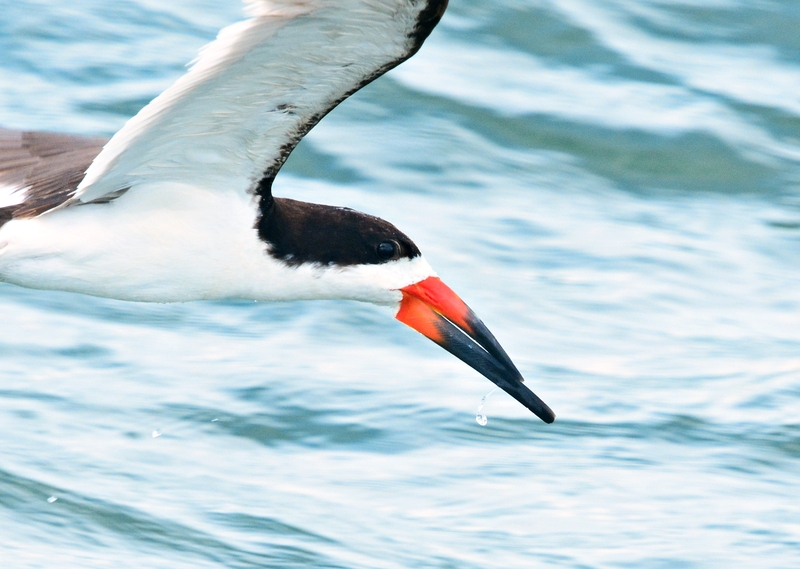 Black skimmers cruising by the fishing pier. 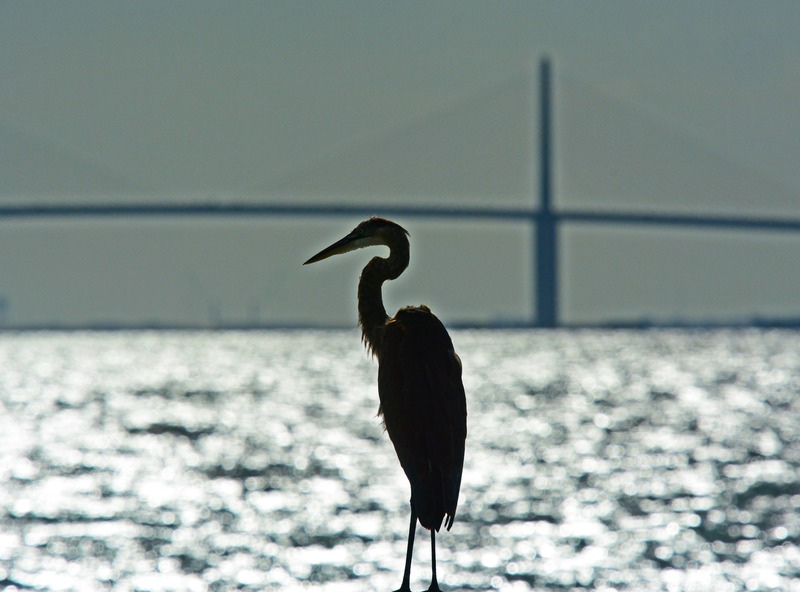 In the shadow of the Sunshine Skyway Bridge. 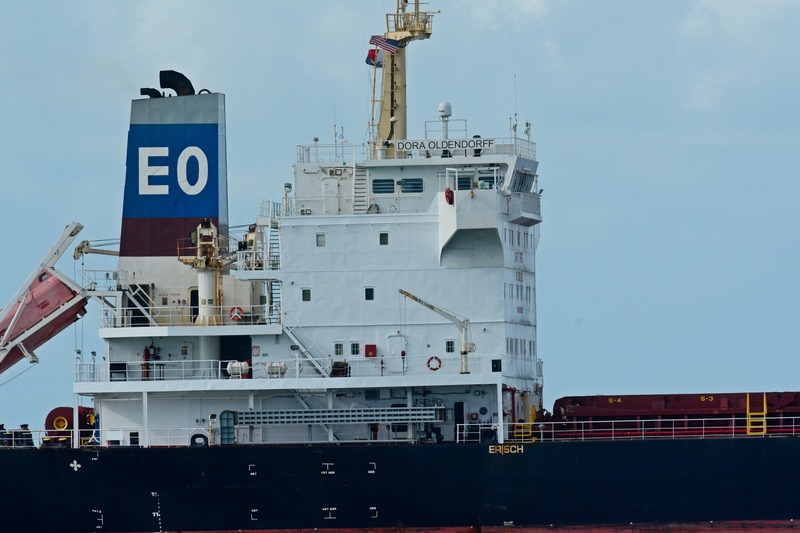 A sunny morning at Fort Desoto before the summer rains started. I’m walking up to the North beach tip at Fort Desoto looking for shorebirds. 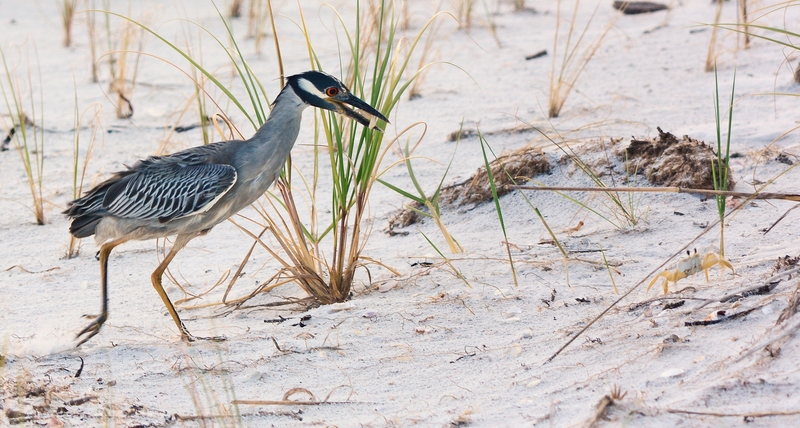 I saw the above night heron in the sand dunes. 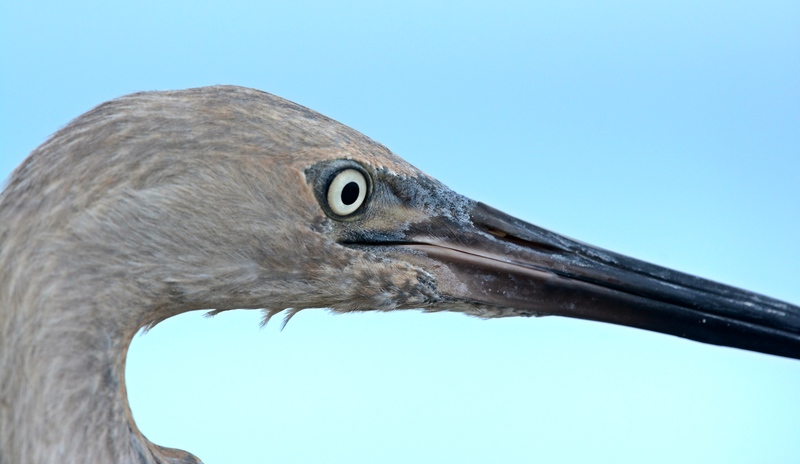 I realized he had a ghost crab in his beak. I didn’t want to spook him and get too close. This is highly cropped. 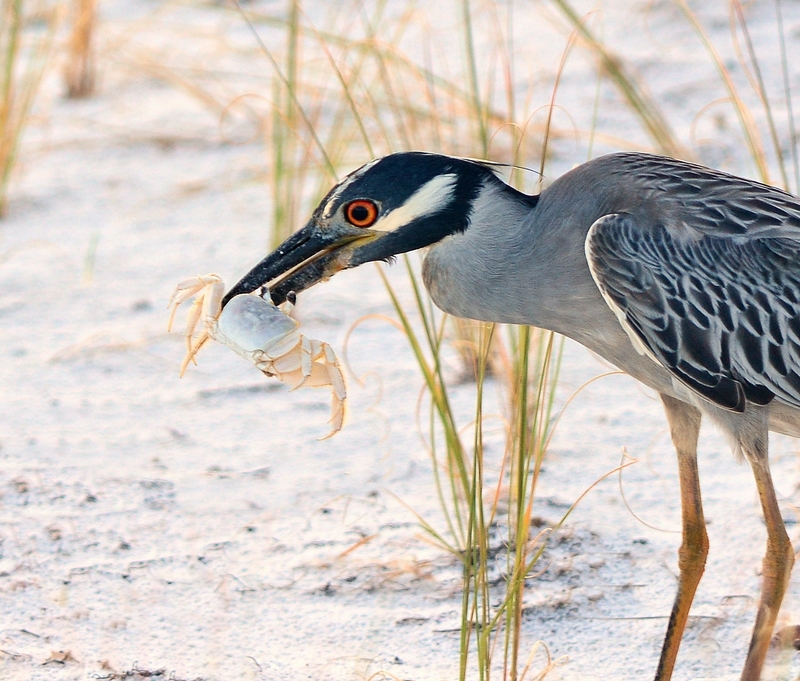 All of a sudden the crab gets away with one leg still in the heron’s mouth. The crab is running off to the right. In seconds, the heron goes after him and gets him right before he gets too far into the reeds. 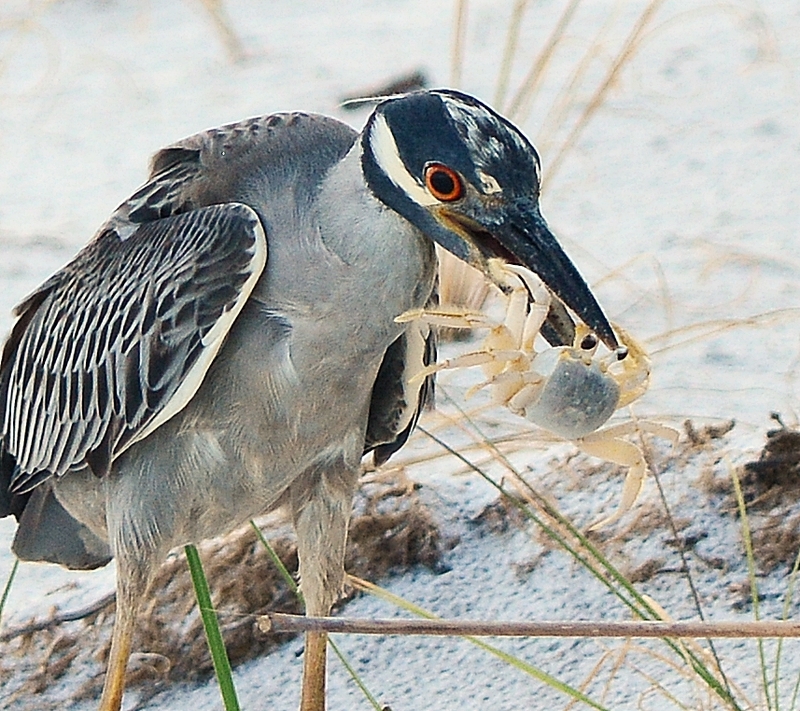 The night heron has the crab again. I’m waiting for the big gulp shot. 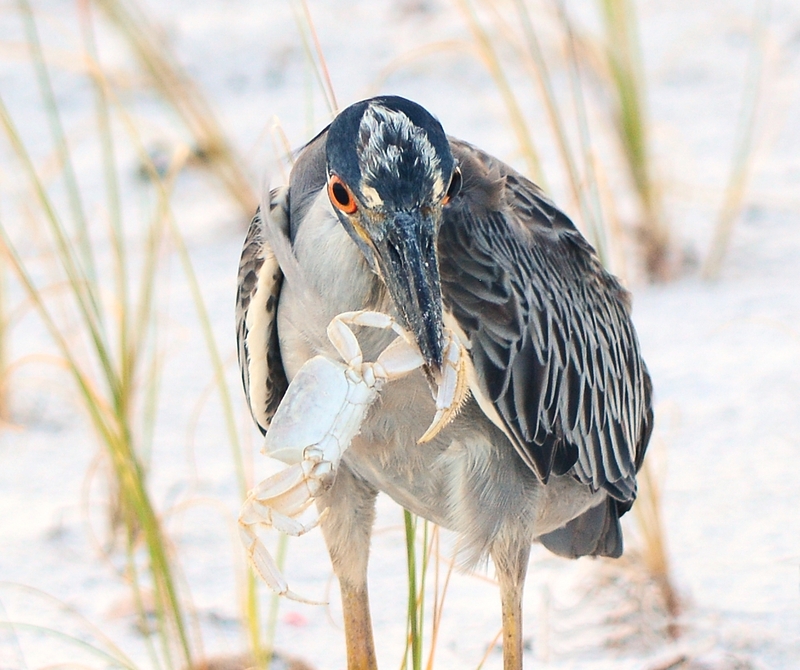 The heron continues to hang on to the crab. 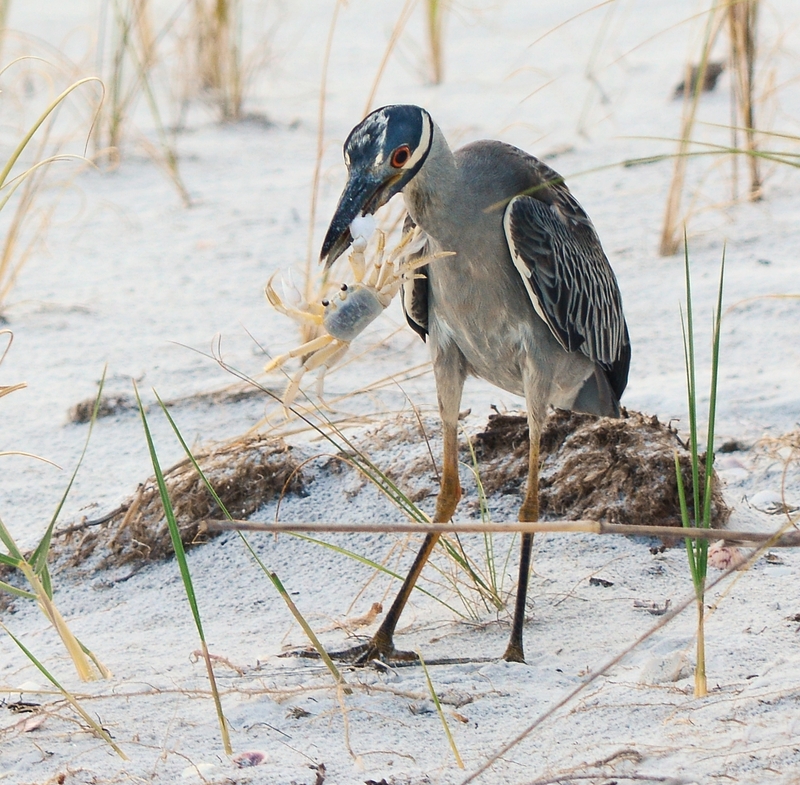 He’s probably waiting for the crab to stop biting. 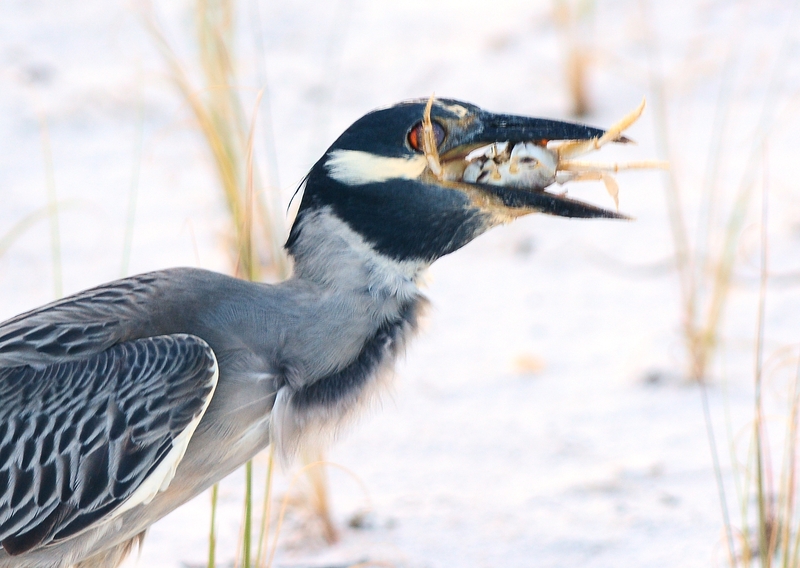 He continues to move the crab around in his mouth. All I could think of was “I wish the sun would come out.” I had to settle for cloudy shots. Finally, he looks like he’s going for the big gulp. And all I got was a “big crab leg in front of the eye” shot. 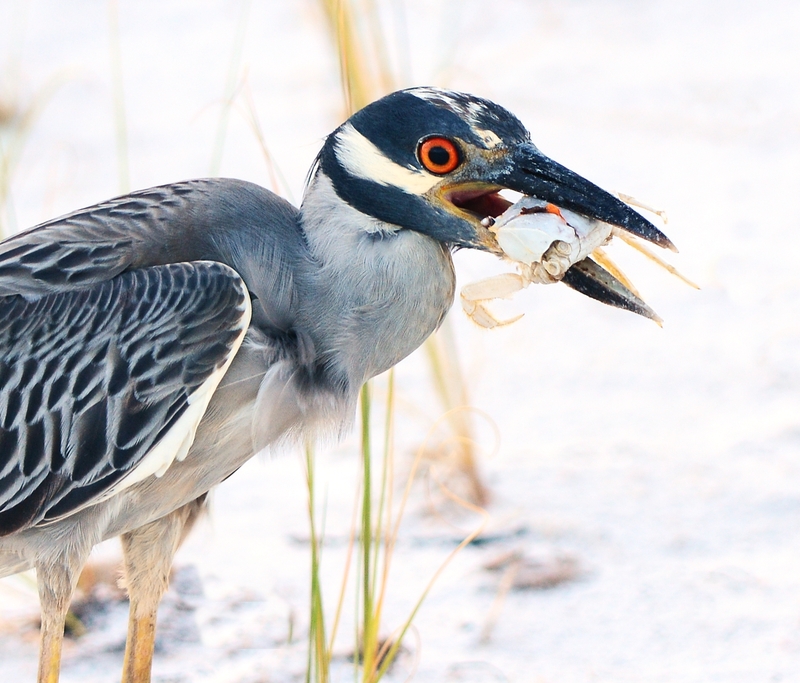 It was still fun to watch him enjoy his crab. Although he had to work hard for this breakfast. 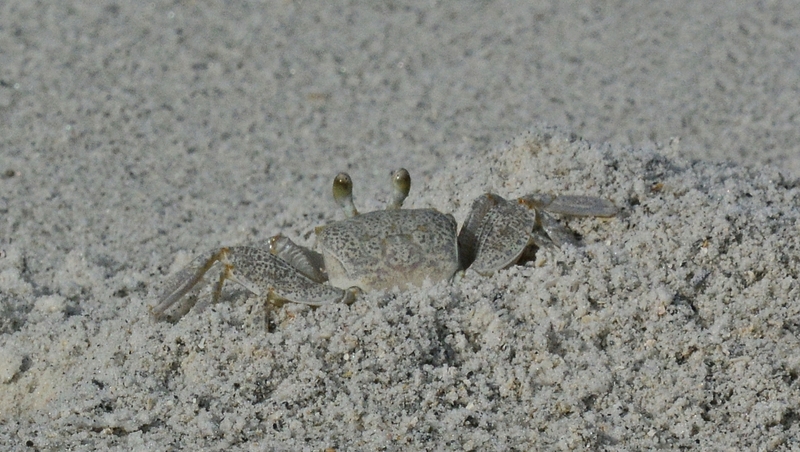 Ghost crab keeping an eye on me. If I started to walk toward him, he ran into his hole. A sanderling, in him summer coat, was feeding along the shoreline in front of our chairs. The fishing pier is behind the dunes. Flock of white ibis flying overhead. Summer is here, along with it comes heat, humidity and mosquitos. In early June, when these were taken, it was warm and dry. A beautiful day at the beach. We plopped our beach chairs down on the sand and had a picnic lunch. After that I walked down to the fishing pier while hubby took a nap. This is now our routine for most Sunday afternoons if it’s not raining. Oh, the advantages of living near the beach. I hope you are spending your 4th of July weekend near some water.